Last night, BBC4 aired a documentary entitled ‘A Brief History of Graffiti.’ Presented by art historian Richard Clay, the programme explored not just the technical definition of graffiti (scratched, or inscribed texts or images such as those found in Pompeii), but all manner of markings left behind by someone who wanted to leave some trace of their existence. I’ve written before about the ubiquitous nature of recording one’s presence across millennia and thousands of miles. This habit is one hardly limited to the ancient Romans that are the focus of my research, and this programme illustrated this point over and over again. When one defines graffiti as broadly as possible, as a man-made mark of some kind – painted, scratched, stenciled, written or figural – it quickly becomes clear that the claim that graffiti can be found wherever humans go is a truism. For the purposes of this programme, that ranges from the 30,000 year old cave paintings of southern France to modern street art in New York City. What remains the same is the urge to do this: what one NY graffiti artist referred to as an ‘innate human impulse’ to leave some trace behind. This is true of all the work profiled, whether the graffiti of local rivalries in Pompeii, the words of the revolutionaries of the Commune du Paris of the 1870s on the walls of the catacombs, or the images of the architect turned stencil artist Blek le Rat, whose work has inspired a whole generation of artists. The element that has perhaps changed over time, again and again, is the attitude towards leaving such marks. A figure of a gladiator complete with sword, shield, and number of victories was inscribed on a wall inside a house in third century Lyon. This suggests a level of not just acceptance but permission for such a thing to appear. This is contradicted in the reaction to what Dr. Clay refers to as the industrialisation of graffiti, that is, the development of lithography and mass produced posters, in nineteenth century France when ‘défense d’afficher’ begins to appear on buildings. 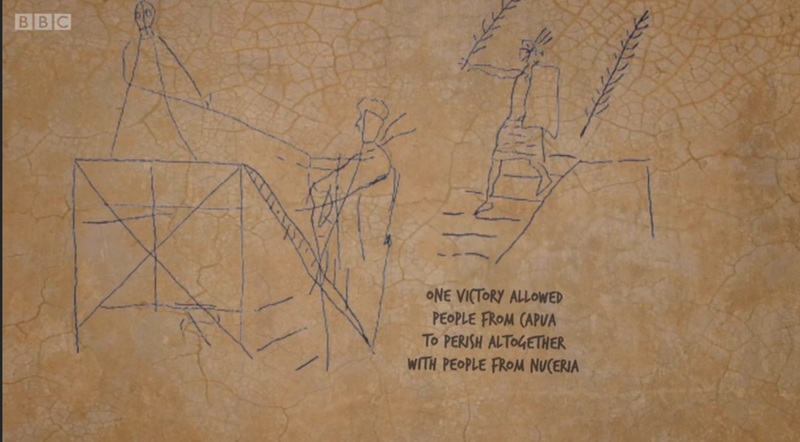 This attitude of viewing graffiti as subversive, revolutionary, vandalism, and a challenge to the status quo continues through the twentieth century, but certainly has no real effect on the production of graffiti. 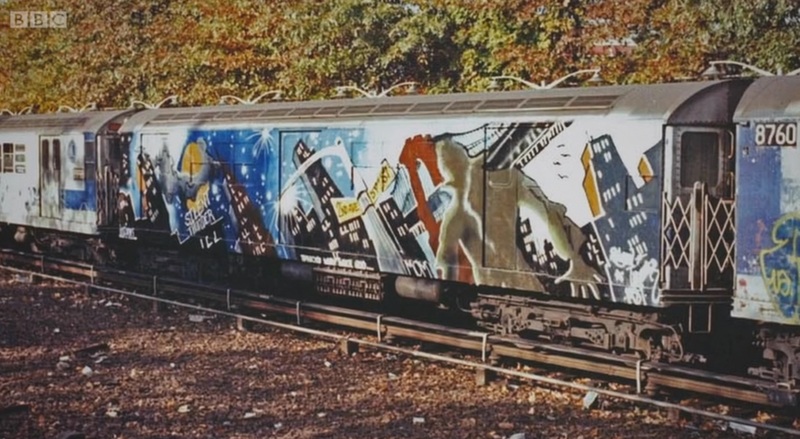 Indeed, despite this, street artists who once were at the vanguard of the underground movement, known for acts such as painting entire NYC subway cars, are now shown in galleries, painting on canvas, and selling their art. This is perhaps best illustrated by the ongoing exhibit of Terrains Vagues at the Palais de Tokyo in Paris, which developed a specific space for collaborative work by a number of graffiti artists. What struck me again, repeatedly, throughout the programme, and indeed as I continue with my own research on inscriptions, is this need to record one’s place in the world, as however fleeting as that might be. I find something oddly comforting in the idea that this is an element of human nature, a shared need to leave one’s mark. It makes me want to buy some paint and find a blank wall to make my own. 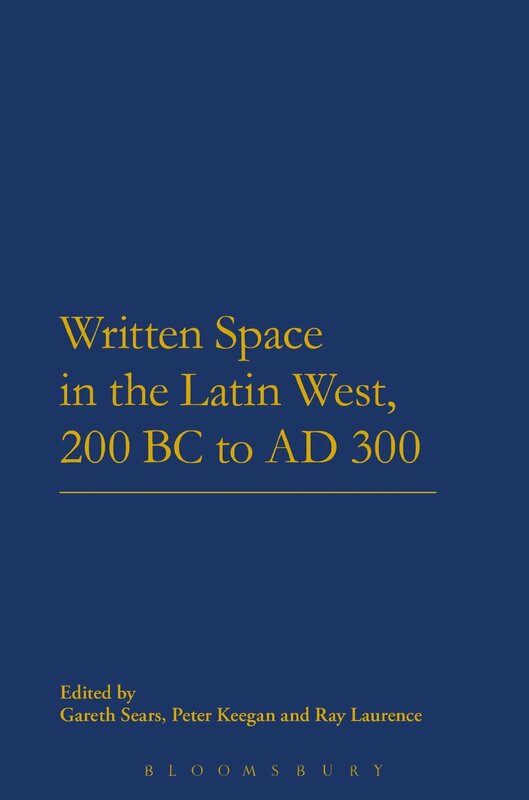 For anyone interested in the relationship of inscriptions, movement, and space in the Roman city, the volume Written Space in the Latin West (2013), edited by Gareth Sears, Peter Keegan, and Ray Laurence contains a variety of papers that demonstrate clearly how important writing was in the ancient city. My full review, on the BMCR website, can be found here.